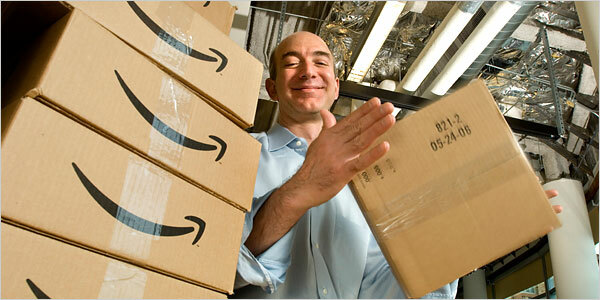 I’ve always admired Amazon.com as a pioneering company. Not only did Jeff Bezos create the best e-commerce experience on the planet, he also had the audacity to transform Amazon’s infrastructure into a platform that is used by nearly every start up I’ve encountered. Recently I came across Jeff’s 1997 letter to shareholders. I’m particularly impressed by how Jeff managed to firmly set expectations while also framing Amazon’s business as something more than just selling books. WOW. That’s a hell of a way to start any message. This is one of the most interesting paragraphs in the document. He’s not talking about selling books. He’s selling a vision: Amazon.com will change the face of online commerce by helping you automatically discover the things you want. He’s framing the company’s purpose as something much more than just selling product. Clearly articulating the baseline metrics by which to measure their success. This is key if they’re making decisions at the expense of short term revenue. For example, free shipping on orders over $25 might impact short term revenue, but leads to an increase in returning customers and a stronger brand. This might be my favorite line in the whole letter. He’s very politely telling investors, “Hey, if you’re not interested in the way we do things, take your money elsewhere.” Not only does this put him in a position of psychological dominance, it actually serves to increase the desirability of the investment. If someone doesn’t need your money, you probably what to invest that much more. Just in case you didn’t get the message: Wall Street, I’m talking to you. We have a process for this madness. Even if we look like we’re failing, we’re scientifically figuring out what works and what doesn’t. We’re going to make mistakes that will lose money, but we’ll learn a lot in the process. Extremely clear value proposition. Also, hints that selling books is only the beginning. This is about more than just selling books. Amazon is building an amazing team to build an amazing service that makes a difference in other people’s lives and that employees will want to tell their grandchildren about. Wow. fruit such as lemons and limes for a fun twist on your modern arrangement. Previous Previous post: Do Supplements Really Work?